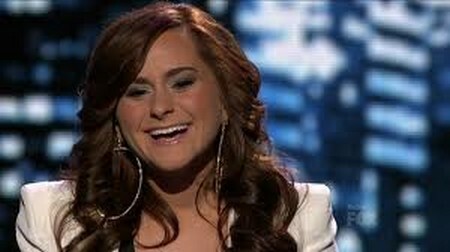 Last night on American Idol, 18-year old Skylar Laine was voted out and although a lot of people felt this was a ‘shocker’, I wasn’t surprised at all because honestly, I just didn’t think she would be able to sell records. In the first place, it’s hard to hear her and even mentor Jimmy Lovine had commented on that, “she has to read the words better so people can understand her.” Second, her corny outfits and silly stage shows are not appealing. Now the final four that we are left with are Hollie Cavanagh, Joshua Ledet, Phillip Phillips and Jessica Sanchez. Although I believe three of them belong there, certainly Jessica should have been given the boot for her ‘embarrassing and awkward’ rendition of Tina Turner singing Proud Mary. Well, even though I am not a fan of hers, I do have to say one thing; at least she didn’t leave ‘cocky’ like Colton Dixon and Elise Testone. A contestant that ‘bid adieu’ with class!